The thrilling spiral tube slide is fun and adventure at the same time. The curvy structure makes sliding exciting and kids will be happy to slide the way round!! The spiral tubes can make any kid smile just by the sight itself. 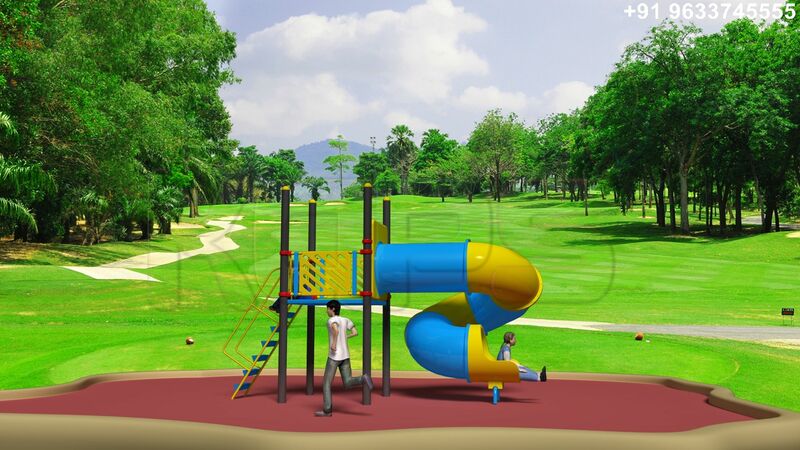 The unique design can allure the play enthusiasts and kids would be happy to play with the extra ordinary spiral tube slide. We offer spiral tube slides in different colour combinations and dimensions. You can easily pick out the best one for your play area and let them have a blast.